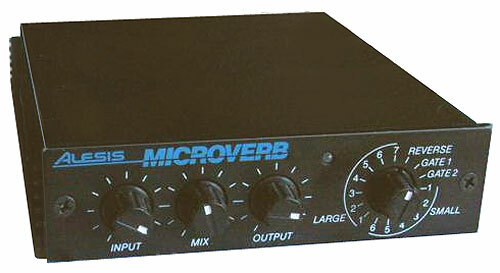 EMT 250 - EMT reverb, the 250, a monster classic!... check it out. New price: na | S/H price: ???.. rare to find. 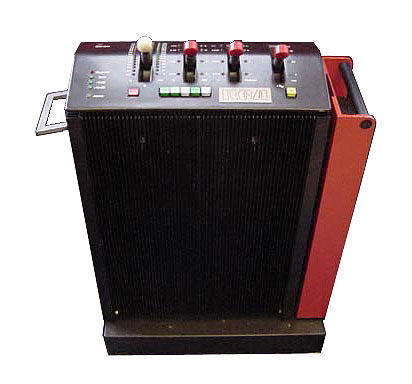 In 1975, the US engineering contract firm Dynatron completed the R&D for the 250, an entirely electronic unit that re-revolutionized reverberation. Karl O. Baeder and Dr. Barry Blesser determined the algorithms, and Ralph Zaorski (most recently a co-developer of the Dynatron 255) created the hardware for the EMT 250, which continues to set the standard for that effect with its classic sound 25 years after its introduction. 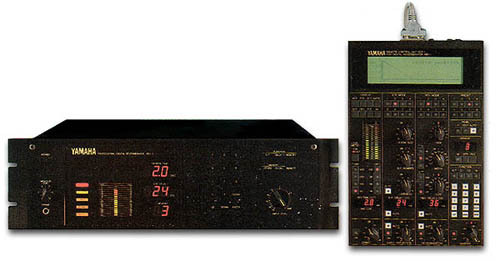 A mere 250 of the 250�s were produced, and the surviving systems have the distinction of being one of the most sought-after �vintage� digital effects units. 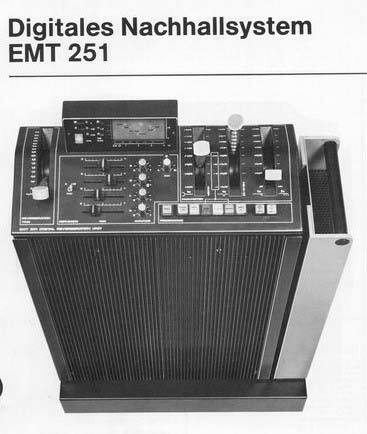 In 1976 though, EMT blew a lot of minds by introducing the 250 Electronic Reverberator Unit. Not only was it the first digital reverb,but it sounded fabulous, and looked like something from an alien spacecraft! It was a free standing unit about 3 feet tall with black �radiator� style heat sinks wrapping around 3 sides, and a large, bright red power supply assembly. On the top mounted control panel 4 oversize levers resembling aircraft controls adjusted main delay/decay time, LF and HF decay times, and added delay to the send. 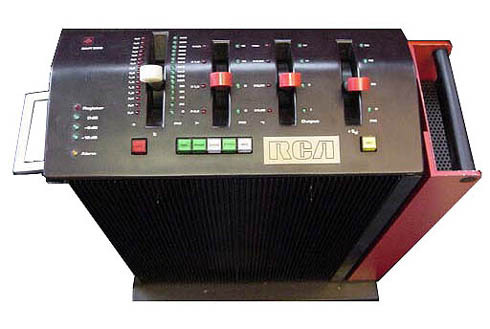 It also had delay, phasing, chorus, slap, and �space echo� programs. It had one input and either 2 or 4 outputs, depending on the version ordered. The 250 really had a beautiful sound. Its design was a joint effort between EMT�s engineers in Germany and a small firm in Massachusetts called Dynatron. EMT designed the converters, I/O, and power supply, while Dynatron designed the main digital/processor board. The Dynatron effort was led by Dr. Barry Blesser, then a professor at MIT (and later an AES President). 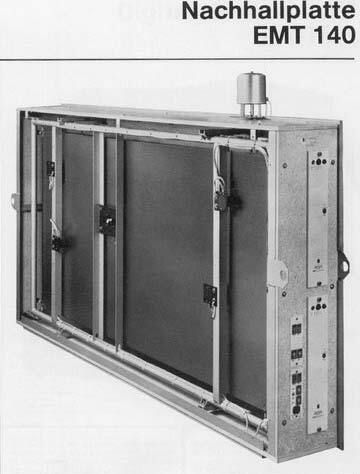 The finished unit had nearly 500 IC�s, and 3 cooling fans. To protect its revolutionary design, the part numbers and identification were scratched off most of IC�s on the digital board. The Electronic Reverberator Unit utilized a memory board that held 80 2102�s - then a popular 1k (!) static RAM chip (also used in Radio Shack�s TRS-80, the first real home computer). In accordance with Moore�s Law (which predicted the doubling of transistor density every year) later models used a RAM board with just 32 IC�s. This new board used 4044�s, a 4K RAM device. About 250 250�s were built, and they sold for about $20,000 each. I�m not sure whether EMT recouped their investment, but the machine was a huge milestone in recording technology that heralded a real turning of the corner for the audio industry. Within a few years EMT had released the 251, a revised model with an LCD display and increased functionality. The 251 offered extended frequency response, additional parameter controls, more programs, and a remote control port in the same �sci-fi� package. As you might suspect by now, servicing those EMT reverbs was a labor of love. The 250 sounded pretty sick - There were problems in the power supply, D-A board, and that primitive RAM board with the 80 IC�s (finding the bad ones was an interesting mini project!) After finding and repairing those 3 problems, I then performed the bizarre, convoluted, and thoroughly German alignment procedure. When the repairs were finished, I ran some audio through it. Wow! Beautiful warm, natural sounding reverb, with a touch of menacing rumble in underneath. What a sound. The 251 had a different kind of problem. The internal electronics worked just fine but its LCD display had burned out, and running it was a bit like driving a car while blindfolded. The owner had already concluded that no spares existed, which we confirmed. With some difficulty, we tracked down the original specs and manufacturer of the display, and are trying to have new ones manufactured. You can be sure that one way or the other, we�ll get it running again. The only thing I could find about the actual company (EMT), which is rediculous really for the www, was a note that in 1960: "Production start of the Studer C37 and the Revox D36 which became the first Revox stereo taperecorder of the 36 series. Co-operation with "EMT Wilhelm Franz GmbH" begins. Well if that is the ones then the only other info on the www i could find was relating to turntable and other hi-fi whatever gear... not a sausage of anything else much to be gleaned, sorry. the original 250 had - "Front panel controls are: Decay, Low Frequency Decay, High Frequency Decay and Initial Delay - Decay Time being 0.4 to 4.5 seconds, LF Decay from X0.5 to X2.0, and HF Decay from X0.25 to max, Initial Delay being 0/20/40/60ms times." I have an EMT 251 with 250 PROMS.. It has a noisy output on one channel. best reverbs ever made. It is not a plate, that was the EMT 140. World Pro Audio can repair many parts of the circuitry in the 250 and 251. I need a EMT 250 or 251 for my studio.I need to know the price. hi, i�d be interested in the emt 250, is it still for sale? Why the big sound difference between the 250 and 251 ? Looking for the service manual for the EMT 250. Let me know. By scrolling down the german wikipedia page 'Elektromesstechnik Wilhelm Franz' you'll find some additional infos about the 'EMT 250', particularly concerning the true origin of its distinctive Industrial Design...!